#Focus – The Forgotten 1967 Holman & Moody Ford Honker II. – Historic Motor Sport Central. #Focus – The Forgotten 1967 Holman & Moody Ford Honker II. 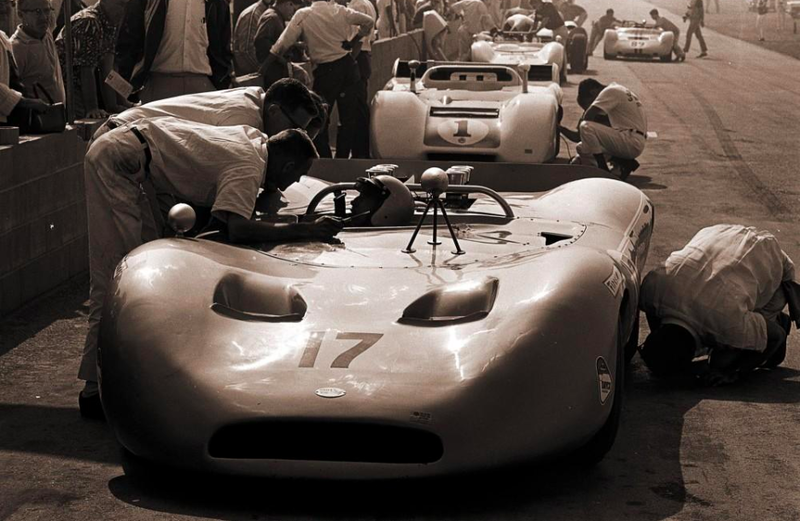 The Holman & Moody Ford Honker II is part of the forgotten CanAm cars and funny is that everyone actually remembers its sister, the Ford F3L or P68 that was seen racing on the other side of the globe, in Europe during 1968 and 1969. 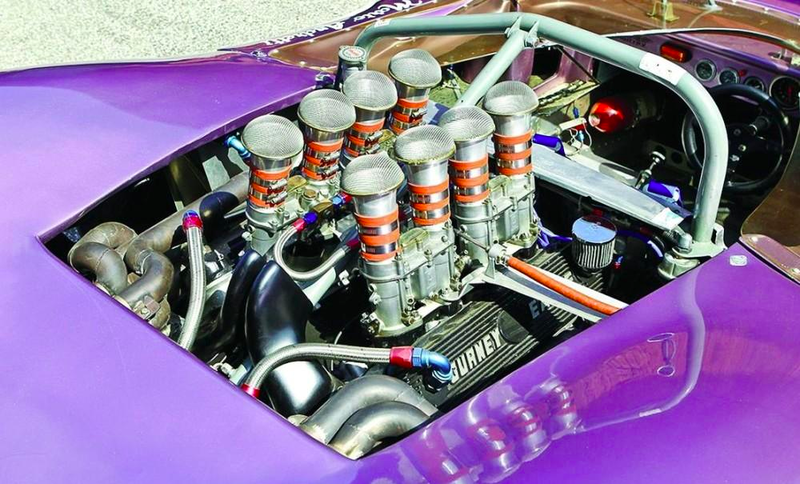 Both cars were actually part of Ford Advanced Vehicles programs following the GT40 successful efforts of the previous years. The Holman & Moody car as well as the F3L/P68 were both designed by British engineer, Len Bailey and built by Ford’s Europe factory team, Alan Mann Racing in Great Britain. Apart from the chassis and aerodynamics which are very much the same, both cars ended up being completely different in terms of package. One was built for the CanAm championship which required a huge amount of power which resulted in the car being equipped with a 377ci (6200cc) engine being fitted as well as an open-top bodywork as mandated by the FIA Group 7 rules enforced in the championship and the other using the best of Ford newly developed engine, the Ford Cosworth DFV 3.0 V8 in endurance trim as well as a closed coupe bodywork. But let’s focus on the Holman & Moody car. As said, it was engined by a 377ci V8 derived from the production Windsor 351ci engine. Bored-out by Holman & Moody and fitted with a Tecalemit-Jackson fuel injection, the engine would deliver near of 600HP once fitted to the car. Transmission side, it was equipped with the common Hewland LG600 gearbox as seen in many other CanAm cars. Suspension was pretty much conventional with independent upper and lower wishbones at four corners but brakes and shock-absorbers were sort of implemented to it a unique design at the time in CanAm and only seen on the Cooper Formula One cars. 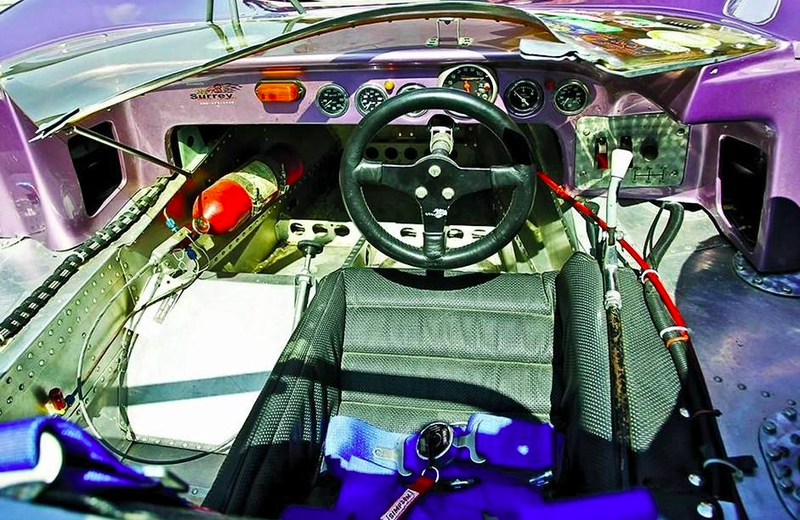 The car was painted using “Passino Purple” as Glen “Fireball” Roberts Nascar stock-car, funny is that the color was actually named after Ford Racing director, Jacques Passino. It was named the Honker II in reference to Holman & Moody founder John Holman who was known for “honking” his horn in his early trucking days. Campaigned during the 1967 CanAm season, it didn’t prove to be a success even with Mario Andretti at the wheel… Teething problem hampered the whole campaign and the six races season being 11 weeks long, not much time was given to cure the problem or develop the car which resulted in Mario’s departure from the program… Apparently it also didn’t handle very well as for the later Alan Mann P68/F3L car..! It is well remembered as Paul Newman’s entry in motorsport as he sponsored the car during that season and also got to know Mario Andretti. Fortunate for both as Mario Andretti would claim the 1984 CART PPG title for the Newman-Haas tea. It was also featured, used and crashed in John Goldstone 1969 film named “Winning” which of course featured Paul Newman at the wheel. A unique car, design and history restored and maintained to the highest standards, it is now fitted with a 377ci SVO V8 with Gurney Weslake heads and chassis has sort of been “cleared” and should be ready to maybe win ! Located in Monaco, Europe and for sale by Guikas GTC we hope to see it on track again soon. Previous Previous post: #Focus – The Maserati Tipo 151. Next Next post: #TouringCarMadness – ITC and the stillborn 1997 Zakspeed Opel Calibra.